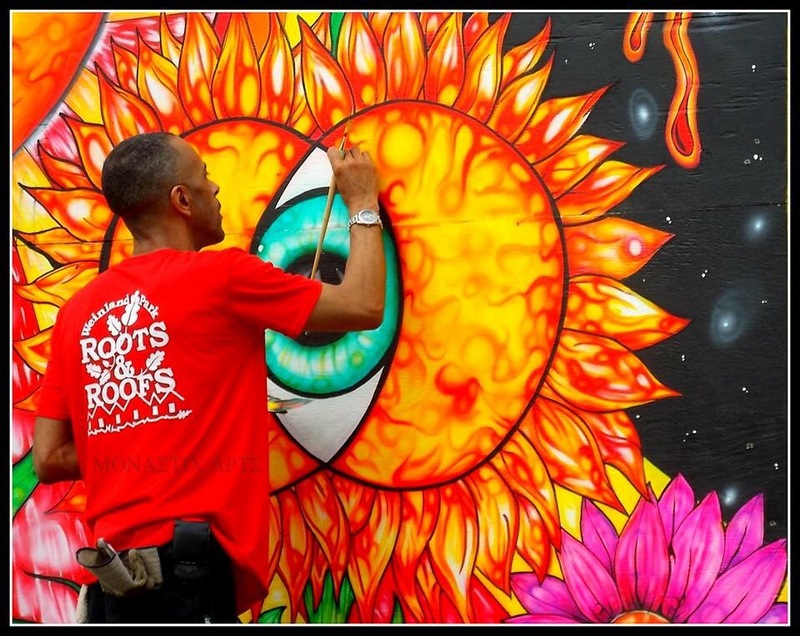 Roots & Roofs is an annual neighborhood beautification event in Weinland Park that builds on decades of focus on housing, art & gardens. 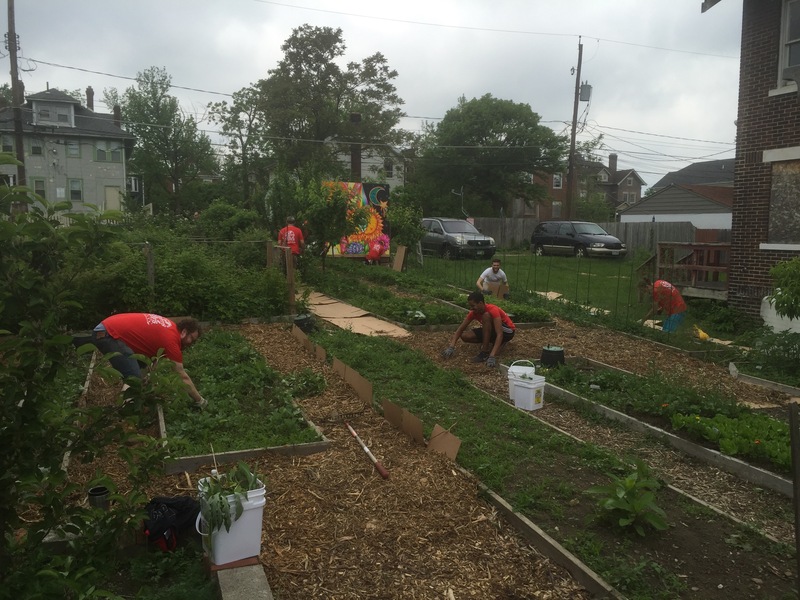 4th Street Farms has participated in this work since the beginning. 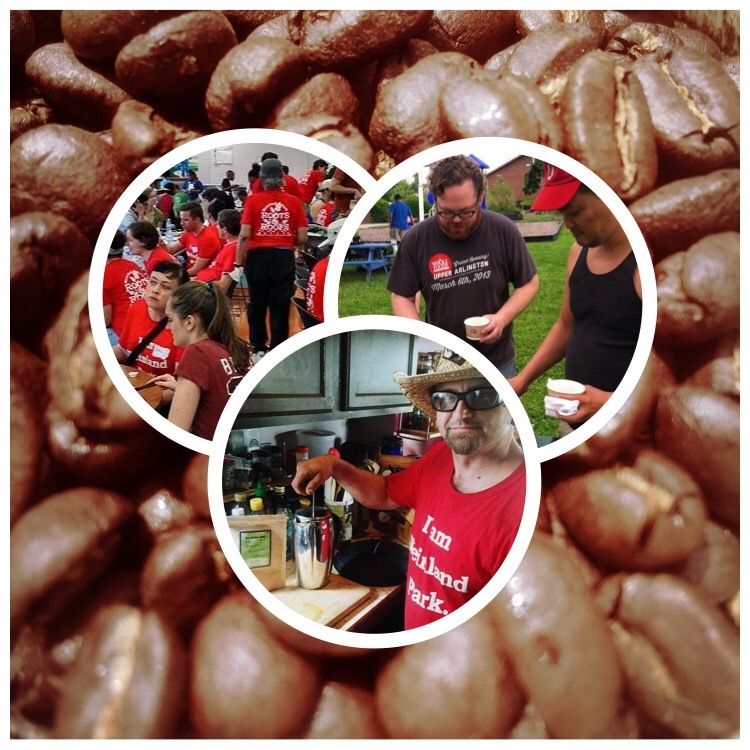 This year we celebrated our 5th Annual Roots & Roofs on May 16th, 2015 with 175+ neighbors, volunteers, church members & businesses. 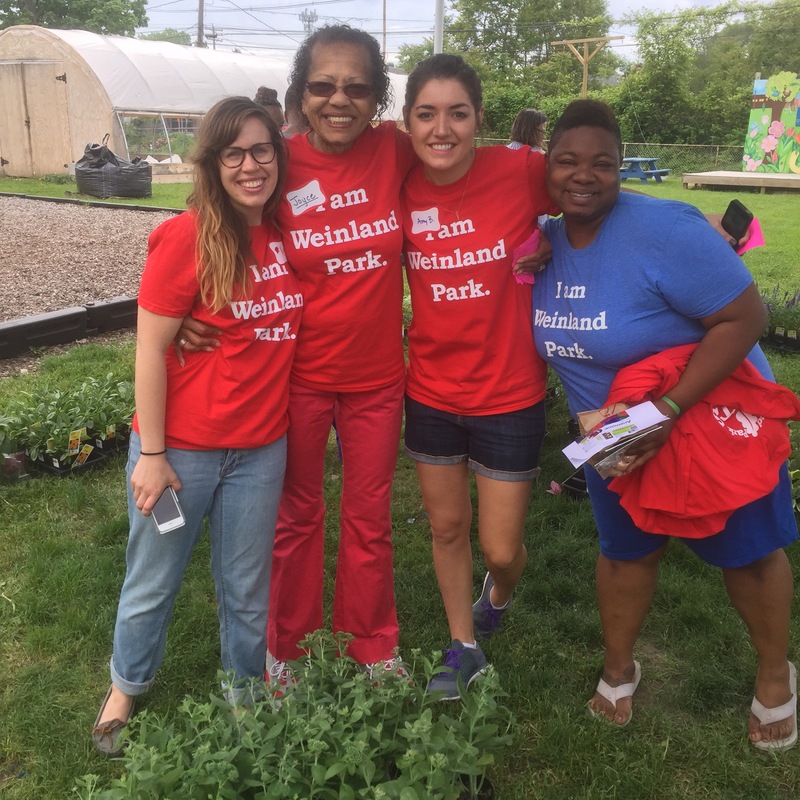 Together, we hosted a plant sale, assisted 16 seniors in yard work, installed a mural, prepped community garden & green space, collected litter & planted flowers throughout Weinland Park. 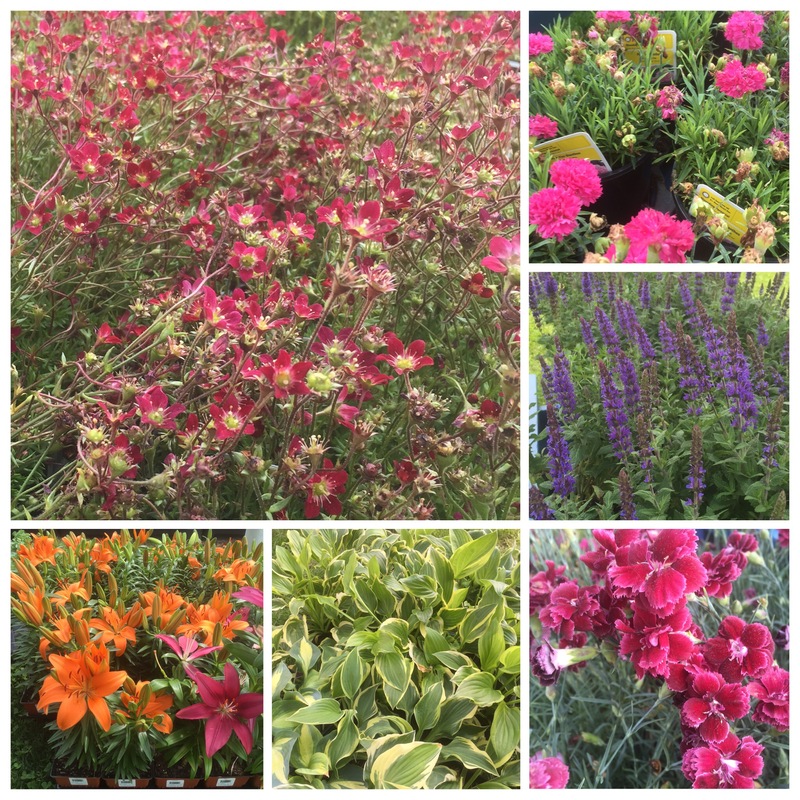 In 2015, we provided over 700 live plants, 3,500 bulbs, 500 bags of mulch & ~10 tons of woodchip with support from the City of Columbus Parks, Lowe’s Home Improvement & The Columbus Foundation. 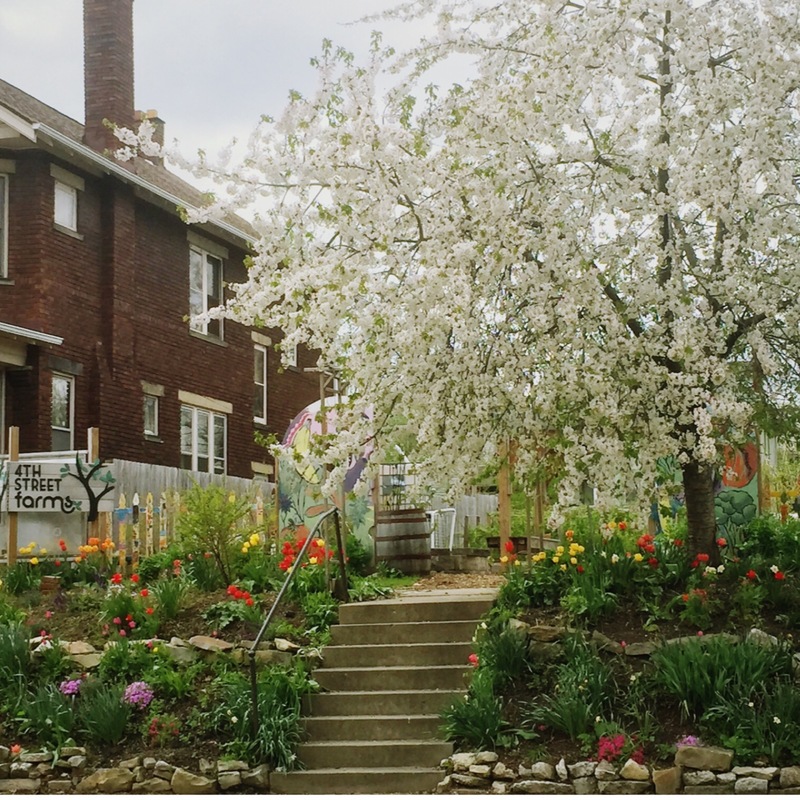 Overtime, that’s more than 45,000 plants blossoming in Weinland Park! 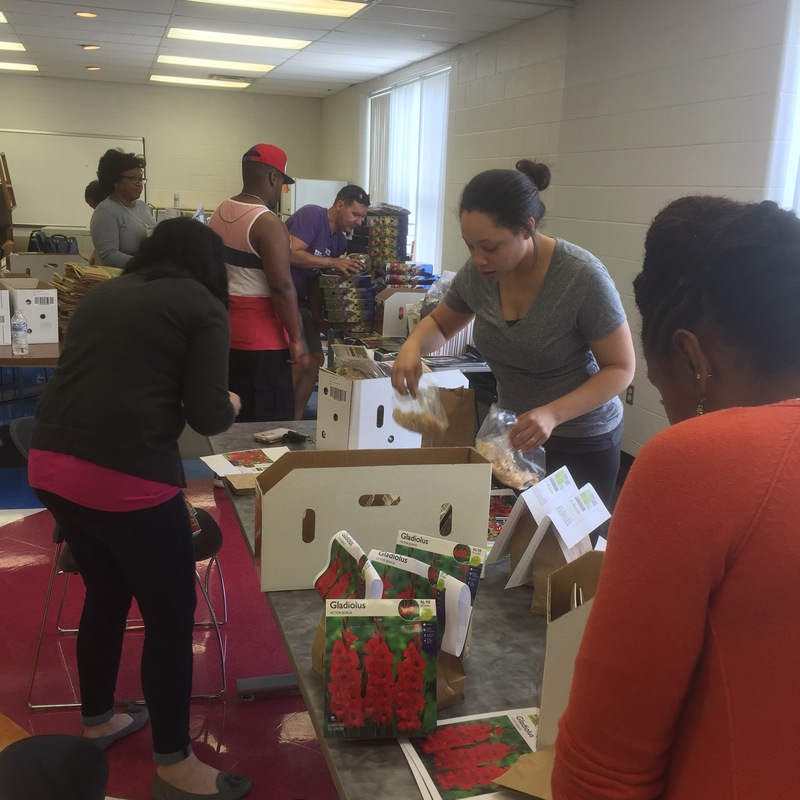 Before the event kicked off, volunteers gathered at Godman Guild to sort, label & organize bulbs & live plants for the annual resident plant sale, as well as public green spaces like parks, gardens & the bird sanctuary. 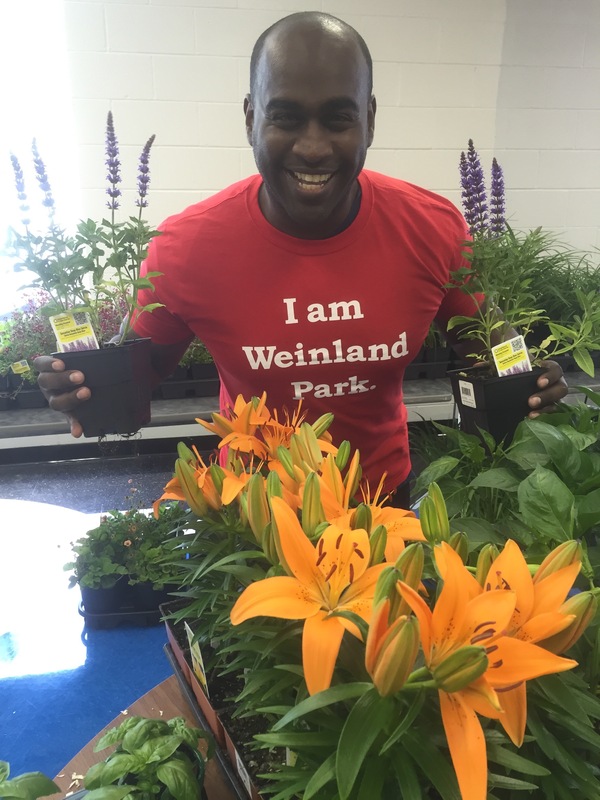 Every Roots & Roofs volunteer gets a highly collectible “I am Weinland Park” t-shirt. Every year is a different color, promoting pride in place & celebrating our diversity. 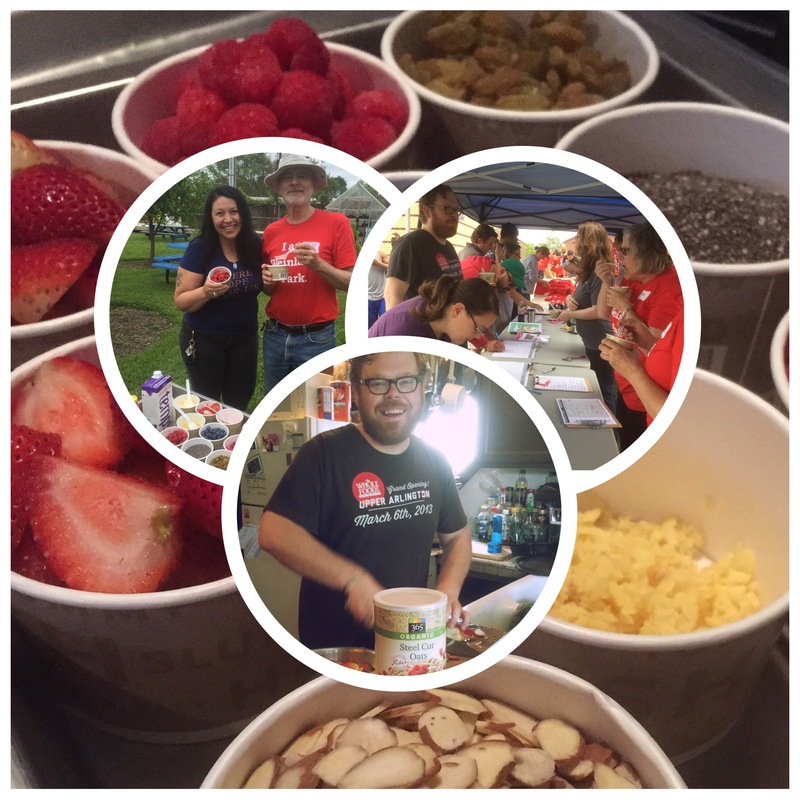 Kicking off at Godman Guild, volunteers signed in starting at 9:30AM with a hearty breakfast of apple cinnamon steel cut oats with chia, golden raisins, goji berries, fresh berries, and lots of other good stuff. Courtesy of Whole Foods Market of Upper Arlington & The Coffee Dude. 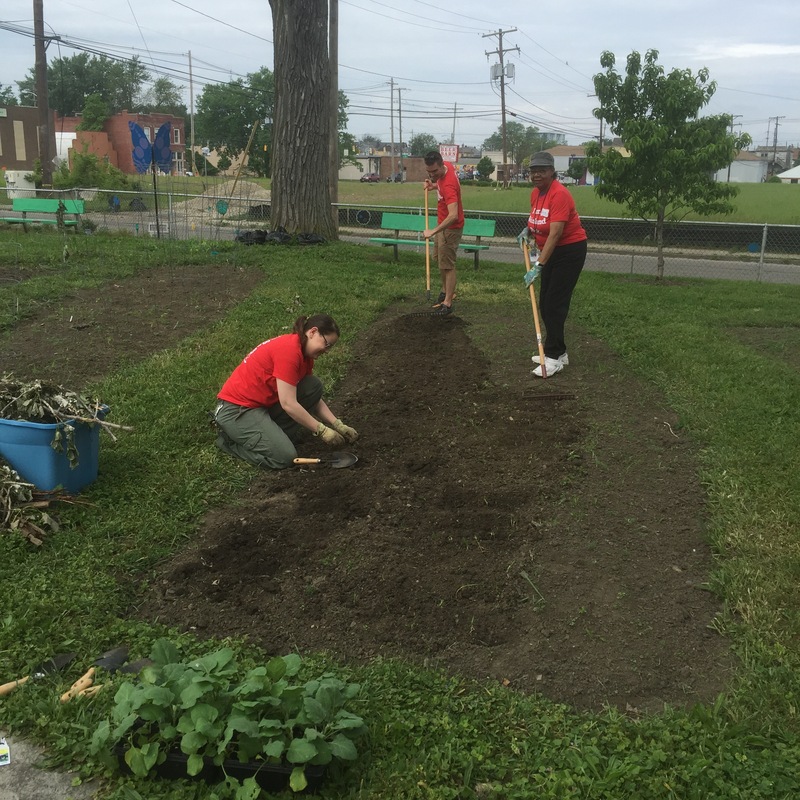 After good food shared together, volunteers got moving on projects throughout Weinland Park. 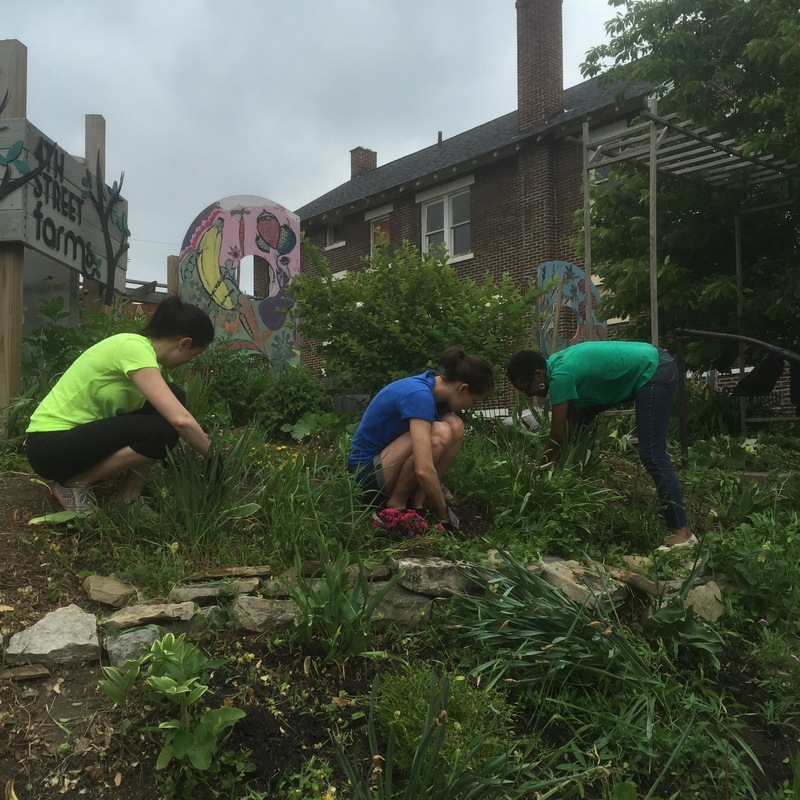 Delivering mulch throughout Weinland Park… Gardening at Godman Guild… At 4th Street Farms, we had a few different teams. Team Pretty tackled the front flower beds, weeding, putting in strawberries & mulching. While Team Pathways put down cardboard & woodchip all throughout the paths & berry beds. 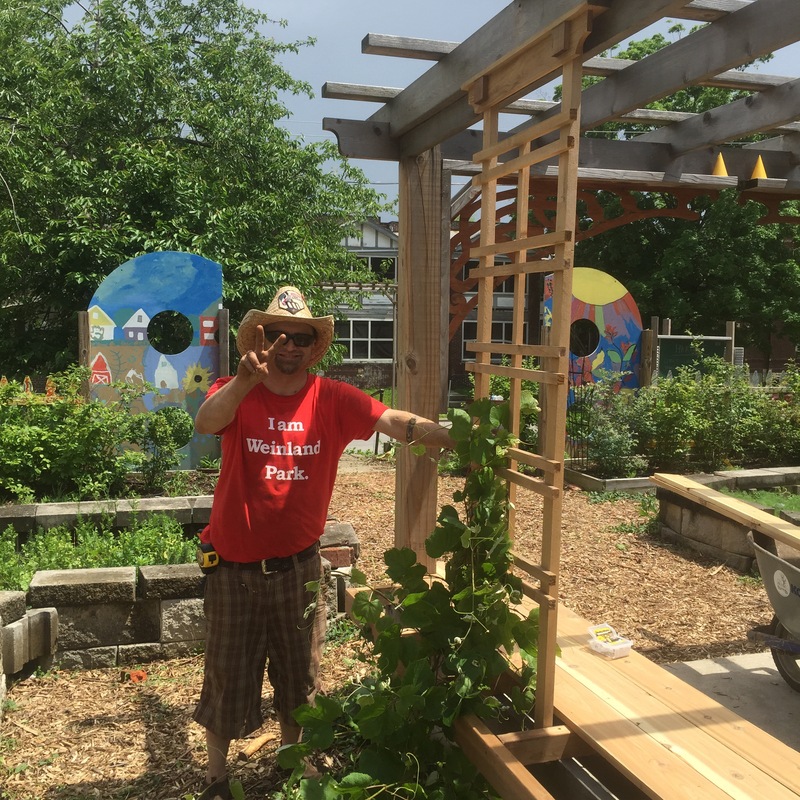 Team Bench It installed benches & trellis at the pergola… The grape vines will grow up, providing natural shady green space. Meanwhile, Team Art installed an inspiring mural that radiates positive energy throughout the garden. 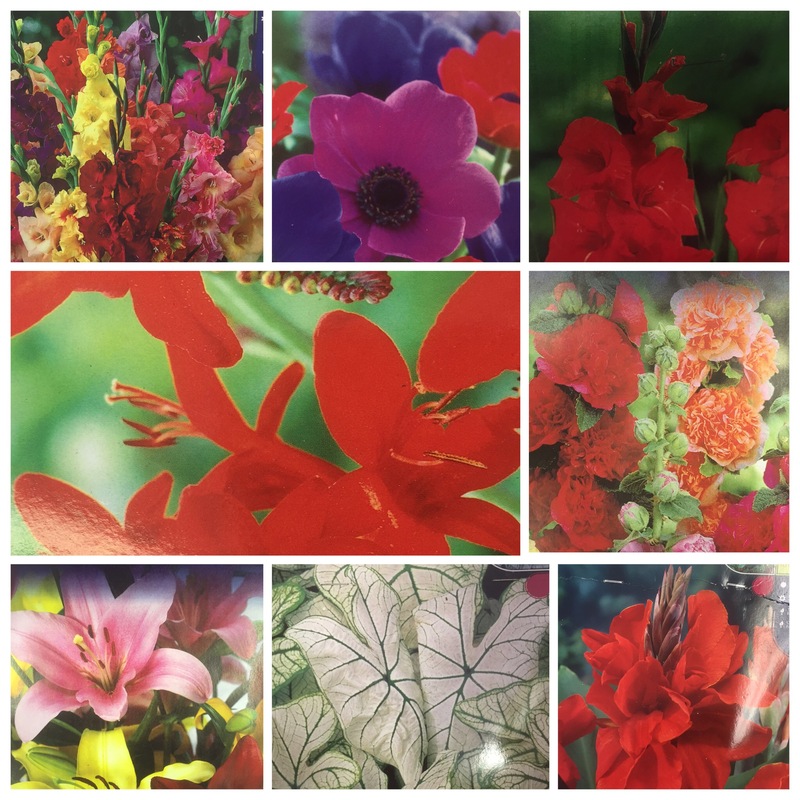 Local artist, Aaron Thomas was chosen by community members in a competitive open call for art in the garden. Special thanks to Aaron for being the change with this mural project, and to United Way of Central Ohio & The Columbus Foundation’s Scott’s Gro Fund for their support. 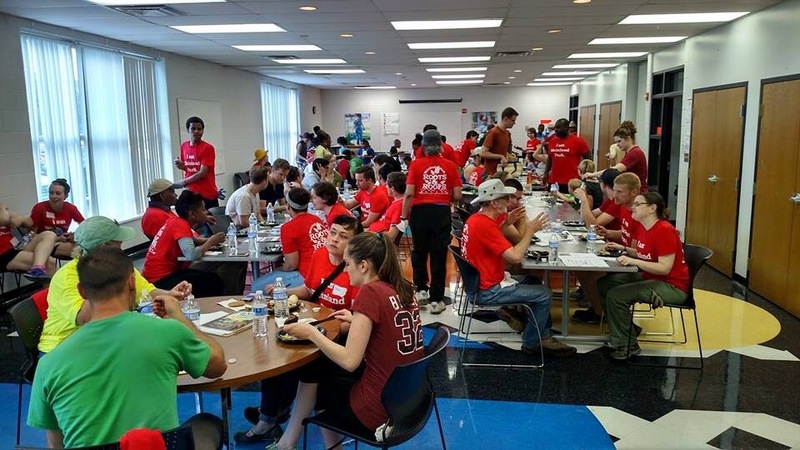 Deepest thanks to everyone who makes this event happen each year. 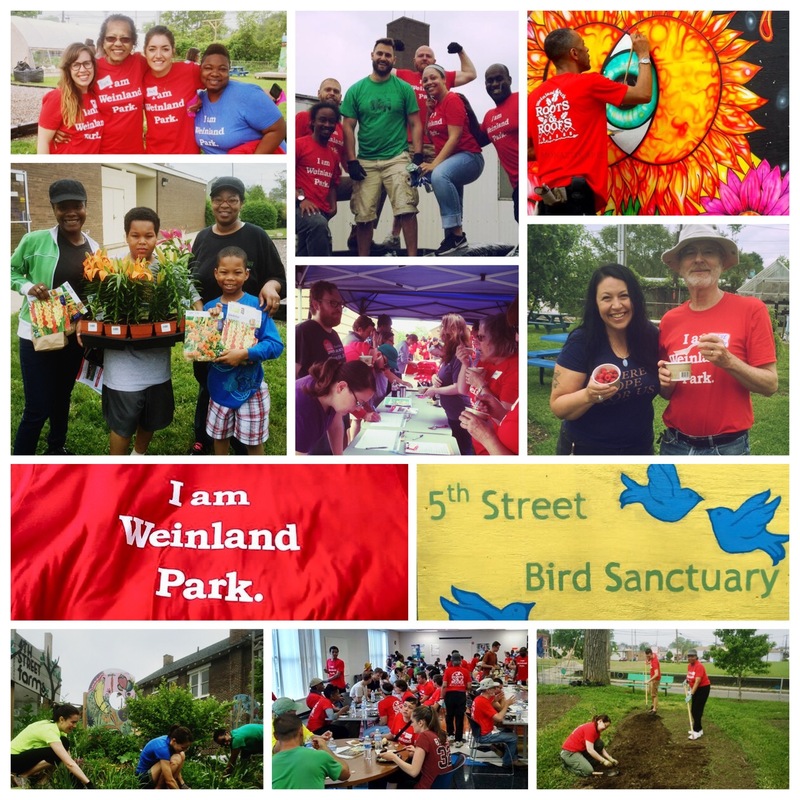 Join us in making a difference in Weinland Park!